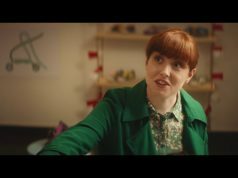 The Irish chocolate brand Lily O’Brien’s has launched a new brand campaign called Share Wisely which explores the dilemma between sharing and keeping, when it comes to something like chocolate. The creative platform playfully showcases the fact that there are some things we’re happy to share, and others we should maybe keep to ourselves! To deliver the playful message, the new ‘Share Wisely’ TV advertisement went live this week on Sky, together with a number of online platforms including All4 and ITV. The campaign is further supported with a programme of PR, digital and marketing across both the UK and Ireland, including two experiential events with brand ambassadors Vogue Williams in Ireland and Alice Levine in the UK hosting private events for media and influencers, where they will enjoy Lily O’Brien’s inspired cocktails, canape’s and chocolates. The ad was devised and media planned by Core. 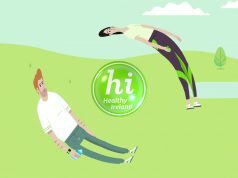 PR, experiential and brand ambassadors were managed by PR agency’s Elevate PR in Ireland and We are Spider in the UK along with social and digital from The Wonderland. The campaign goes live ahead of Mother’s Day, which is on Sunday 31st March this year. The Ad ‘Hen party’ showcases the brand’s number one Desserts Collection, which makes spoiling mum this Mother’s Day easy!